The Grand Companies is a confusing system in Final Fantasy XIV: A Realm Reborn. You’ll need to make a choice between three Grand Companies at level twenty: The Maelstrom, The Order of the Twin Adder, and The Immortal Flames. These companies will offer you the chances of the first mount. When you are at lvl 20, after you slay Ifrit, you will be given the choice to join one of the three Grand Companies. Each company has a leader in its city. You will visit them and make your choice between the three. In fact the three companies have an optimum class to choose, though they are just slightly different on the stats of gear. Maelstrom is for tanking, Twin Adder is suitable for magical DPS while Immortal Flames is for melee DPS. The major difference is how your company Chocobo will look like and the quests you’ll have to do. The quests are quite similar. Enemies just differ slightly. Anyway, pick the one that you align with the most, the gear differences aren’t that huge and the gear honestly isn’t going to be your endgame best gears ever, and options are specific to each class for the gear while leveling. Questioning Chocobo will be the very first quest you need to do after unlocking your Grand Company, which requires 2,000 company seals. But this is not a hard task to fulfill. Complete your company’s hunting log. You will get the 2000 seals quickly and simply in 30 minutes. Failing that, you’ll have to grind through FATEs until you acquire that many. 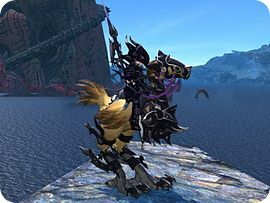 Once you are given your first Chocobo, you can then have other mounts in the game. The Chocobos can only be ridden outside of major cities and will not dismount you in combat. 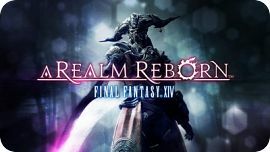 Company Seal is a unique currency in Final Fantasy XIV: A Realm Reborn. It is not tradable, but you can gain Company Seals though various ways. You can gain them by doing FATEs, guild hunting log entries, Guildleves from Guildleve affiliated NPCs, and protection / delivery missions given by the company itself. Doing Guildleves from your company’s NPC can gain extra seals, though it is only a very small amount. The Company Rank is an important factor that determines what kind of gear and materials you can access, along with how many company seals you can carry at once, and what kind of missions you can take. You can speak to an officer in order to advance throughout the ranks via paying company seals. In three cities (Drybone, Hawthrone Hut, and Moraby Drydocks) there are NPCs who assign groups of level quests every 5 levels. You can unlock these quests as a member of any of the three companies. However, there is a bonus rewarded from the quest specifically with your company. The rewards are different for different level, but will be helpful of power leveling up another class once it reaches 20 since it gives you company seals and the missions are rather easy. These missions are available starting at 5 a.m. in the morning. The company requests specific items and if you provide these items they needed, they will give you seals and EXP as rewards. If they fill the amount that they need then they will stop requesting items.